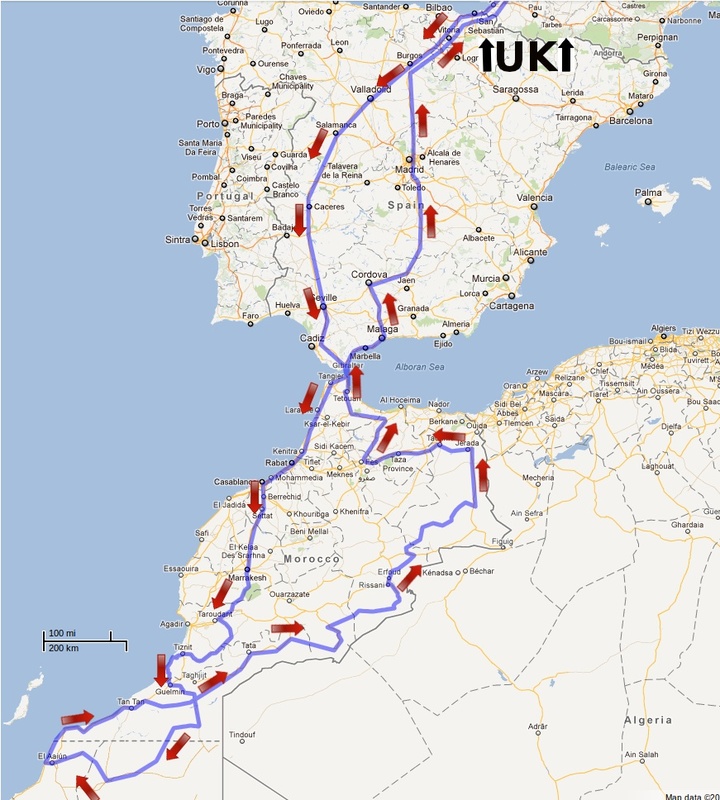 Our route for the Moroccan Rally 2012 starts in London and sees us travel all the way to Marrakesh on a similar trail to the Moroccan Road Trip 2010. The difference with this rally is that we'll be travelling into the Moroccan controlled disputed Western Sahara territory, which has some outstanding off road driving on offer. We'll be heading to Smara before looping back towards Tan Tan via Laayoune. The route planned, which is intended to take no more than 17 days to complete, will lead us towards the eastern side of Morocco as far as Erg Chebbi, not far from the Algerian border. We then complete our last few days in Morocco by heading north towards Jerada then east to Fez before reaching Ceuta for our crossing back to Europe. During our time in Morocco, we intend to take on as many off road routes and pistes as possible, tarmac is the last resort! Knowing us, we'll probably find ourselves wandering around lost on a non existent route for a day or two. As with the previous two adventures to the Sahara, live GPS tracking will provide you with our location, speed and temperature every 15 minutes, subject to mobile data coverage.